Many of us assume that a doctor who is licensed and works for a reputable medical facility must be a trustworthy and capable choice to provide our care. Mistakes and errors in judgment can still happen, but if doctors were already known to be a serious danger to their patients, they wouldn’t still be permitted to practice, right? Sadly, this isn’t always the case. An investigation conducted by MedPage Today, the Miluwaukee Journal-Sentinel, and USA Today revealed that many banned physicians and doctors who surrender their licenses to practice medicine after serious accusations of malpractice go on to practice in other states without any consequences. Learn more about this chilling pattern below, and contact a knowledgeable Indiana medical malpractice lawyer for more information. There is no national licensing process for doctors in the US. Instead, doctors apply to different states individually after earning their medical degree. In some cases, a doctor who has been found guilty of malpractice in one state may face discipline in other states where that physician is licensed, but this is not usually the case. 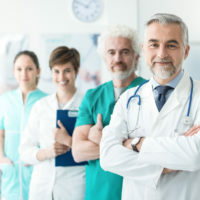 When malpractice allegations are severe, such as in the case of repeated negligent acts or criminal allegations, doctors who do not want to go through a hearing that could result in negative publicity or public sanctions by a disciplinary board might choose to surrender their license instead. These doctors can no longer practice in that state, but they might be able to avoid public damage to their reputation and have their disciplinary record sealed in that state. Plus, if the doctor has a license to practice in another state, they may be able to move seamlessly to a new position in that state, even after serious accusations. The recent investigation conducted by MedPage Today found that, in over 250 cases where doctors surrendered their medical licenses after malpractice allegations, a third of these doctors began practicing in another state without any limits or disciplinary consequences in that new state. In the other cases, the doctor may have faced some discipline, but often in forums that their patients would not know had occurred. In some cases, this means that a doctor can move to multiple states, injuring patients along the way. One doctor who mistakenly removed a patient’s fallopian tube instead of her appendix (which she did not still have) surrendered his California medical license, only to move to Louisiana and mistakenly remove a patient’s healthy kidney. That doctor then moved to New York, where he was accused of multiple malpractice allegations and was forced to surrender his license. Finally, the man moved to Ohio, where he continues to practice medicine. Another doctor was charged by local authorities with sexual assault for having inappropriate sexual contact with his patients under the guise of administering treatment. He surrendered his license in New Jersey, where the charges were pending, and went across state lines into New York to practice instead. Since no one public database of doctor misconduct exists, it can be difficult for patients to learn of malpractice or discipline that occurred in other states. Patients can search their home state’s medical board for any records of discipline and can search those of other states if they have reason to believe their doctor practiced there. Otherwise, it can be difficult to learn that a doctor has a history of poor judgment or providing negligent care until something goes wrong. If you or someone you love has been injured by a negligent or dangerous doctor in Indiana, contact the compassionate and experienced Indianapolis medical malpractice lawyers at Lee Cossell & Crowley for a free evaluation of your claim at 317-631-5151.